Custom carpentry of staircases, handrails and cabinetry - Traditional StairWorks Inc. Traditional StairWorks Inc. has over 25 years of fine woodworking and stairway construction experience. 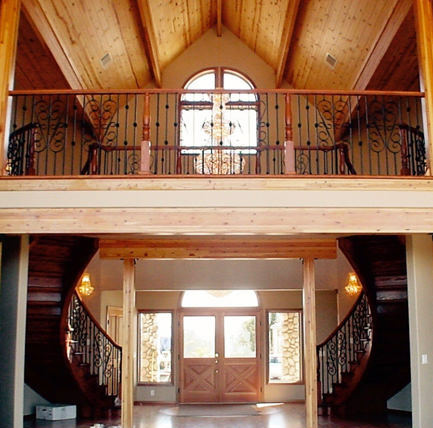 Stairs, Railings & Custom Woodworking Specialist in San Luis Obispo County. Staircases are one of the most important features of a building’s interior yet can be overlooked as an artistic element. Custom staircases can bring rooms together and are not just a way to get from one floor to another. Traditional Stairworks designs and builds custom staircases for residential and commercial customers throughout the Central Coast of California. Traditional StairWorks clients include homeowners, interior designers, architects, and builders to complement their new construction and remodeling projects. Working closely with the property owner, architect, interior designer, builder, and homeowner to design and build the perfect custom stairway for each project. We use the best materials in glass and stone, wood and metal to create stairways, stair railings and balusters that fit any design, budget and building code. Traditional Stairworks makes it easy to design staircases and circular stairways using CAD drawing programs. Our steps, balusters, handrails, railings and stairs are ready custom built for each application with quality in mind. Traditional StairWorks in Grover Beach, CA offers finish carpentry for built-in bookcases, wood shelving units and new kitchen cupboards. 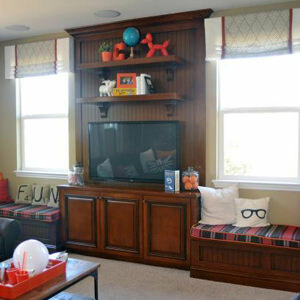 Experienced technicians have created high-quality woodwork for more than 25 years. Traditional Stairworks maintains control throughout the design and construction process to ensure that construction projects are finished to the highest quality standards. Custom staircases, mantels and floor inlays are always beautiful and well appointed. 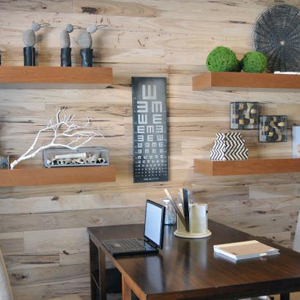 To outfit a commercial space or residential property with new custom storage a local team of specialty woodworkers will build the perfect solution. Today we were able to finish a rustic fir staircase in Cambria, CA. We used polished 4x12 framing fir for the stringer and treads with open risers. This stair has alder posts and poplar rails And balusters. Thank you for lookin! Happy Friday everyone! We have been working on some exciting projects. Pictures coming soon! Have a great weekend! Here we have a custom bent exterior railing made out of cedar in beautiful San Luis Obispo, CA. Exterior rails inside? Why not! Here we have painted solid fir rail and posts with steel cables. This beautiful modern San Luis Obispo, CA home is complete! Good evening! We would like to share a custom stair remodel in beautiful Los Osos CA. Solid stained white oak with painted balusters. Here we have a iron to wood transformation with an added gate. This beautiful remodel in Nipomo, CA is solid white oak with painted balusters. Custom grab rail follows old iron grab rail. We now install as replace exterior balcony railing and roof deck railings! Finishing up these beautiful San Luis Obispo, CA studios. Good afternoon! We would like to share a walnut counter top we custom made for our family in Wylie, TX! Happy holidays from all of us at Traditional Stairworks! Custom designs for offices, wineries, bookstores and other fine establishments. From the pre-design phase of the project through construction, delivery and installation. Traditional Stairworks is experienced working with designers, architects, structural engineers and specialized trades people. We are proud holders of a C6 Specialty Contractors License in Millwork. Every custom creation is authentic with “pride of craftsmanship”. Contact our office today. The team at Traditional StairWorks accepts project requests from property owners and contractors in the Grover Beach, Pismo Beach, Arroyo Grande, San Luis Obispo, Cambria, Morro Bay, Paso Robles, Santa Barbara, and Santa Ynez areas. Don’t wait to get a beautiful piece of woodwork made to exact specifications, one time and within budget. Call us Today! Copyright © 2019 Traditional StairWorks Inc. | All Rights Reserved. | C6 License No. 596000 |Website Development by Simply Clear Marketing & Media, Inc.